TWO MORE NEW HAMS IN THE AREA! We have 2 new hams in the area tonight (April 23) who passed their test at the VE Session. One passed all three exams in one sitting, and the other just 10 years old! CONGRATULATIONS TO YOU BOTH !!! Join us for a Fish & Chicken Buffet on April 26th at 5:00 for socializing and 5:30 for dinner! You may order off of the menu as well! Please RSVP online as soon as possible so Mike, kd8fue can get the count in to "Little Nugget" in Wallace! RSVP online now for Dinner! See Skywarn info at the bottom of this page! Get Mailing label HERE ! The Marinette & Menominee Amateur Radio Club (501c3 Corp.) is an ARRL club chartered in 1949, with a club call of W8PIF. Our membership currently stands at 50. We operate two repeaters: 147.000+ (107.2), a wide area coverage system, and the 444.075+ (107.2) which is basically a local coverage repeater. The 147.000 is also connected 24/7 to Echolink node. All licensed hams are welcome and encouraged to use our repeaters. Thanks to KC8DOA for providing us with space for the 147.000, and to The Harbors Retirement Facility for the 444.075 UHF repeater. Enjoy our site and return often to view new photos and club information. Thanks to K8IR for hosting our echolink system. 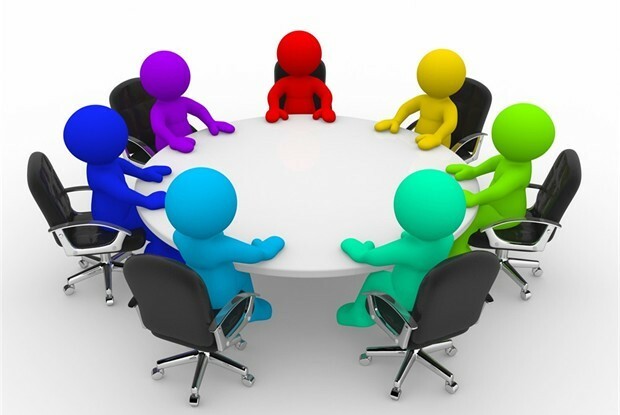 Meetings are the second Thursday of each month at NWTC in Marinette at 7:00 PM. All are welcome to attend, especially if you are interested in becoming licensed! HAM BREAKFAST every 2nd Sat. 9am at George Webbs just south of Peshtigo off of Hwy 41. We have our own private room. Come and join us. KANDY NET - Join us every Sunday night at 7 PM for the W8PIF Kandy Net on the 147.000 repeater for club news, local info, and general rag chewing! Mobile operators needed for this event! We would like to have a good showing of area hams to volunteer mobile and HT communications for this event. Operators will help coordinate operations and any emergencies if needed. Food & Beverages will be available. The M&M Amateur Radio Club is proud to support the DAR Boys & Girls Club Ham Shack with Licensed Ham volunteers to teach the joy of ham radio to children of all ages! This has been a cooperative effort for many years and we are appreciative to be a part of it. Many thanks to Ed Engleman (kg8cx) and the many others who have helped build the DAR Program and to keep it going for the past 13 years! The DAR Boys & Girls Club serves the communities of Menominee, MI and Marinette, WI year round providing recreation and education to area children after school. The DAR is the only Boys & Girls Club with their own Ham Radio room where we explore amateur radio, electronics and study for licenses. The recent addition of Snap Circuit solderless electronics kits have been extra popular with the youngsters. 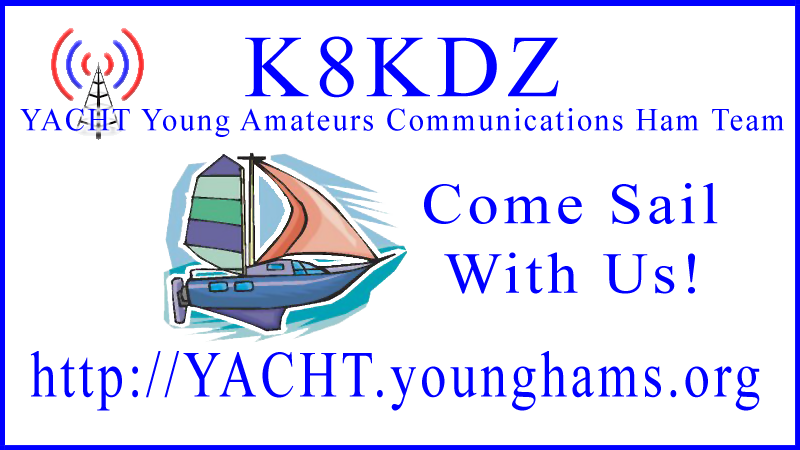 YACHTs purpose is to expand horizons in the field of communications along with general and advanced ham radio techniques, and to foster a greater appreciation of the role they play in the overall hobby of amateur radio, as well as giving kids a challenge and enjoyment. They have over 200 members in 34 states and 4 countries. RACES operates under the Wisconsin Emergency Management (WEM) and activates when the incident expands beyond local boundaries. The Amateur Radio Emergency Service® (ARES) consists of licensed amateurs who have voluntarily registered their qualifications and equipment, with their local ARES leadership, for communications duty in the public service when disaster strikes. Marinette County Emergency Management ARES website. The United States is the most severe weather-prone country in the world. Each year, people in this country cope with an average of 10,000 thunderstorms, 5,000 floods, 1,200 tornadoes, and two landfalling hurricanes. Approximately 90% of all presidentially declared disasters are weather-related, causing around 500 deaths each year and nearly $14 billion in damage. The M&M Amateur Radio Club is proud to be a part of the Skywarn Network.